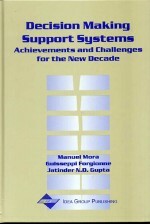 This chapter summarizes a multidimensional approach to categorizing specific decision support systems (DSS) developed in Power (2002) and related works. The suggested approach or expanded framework emphases evaluates DSS in terms of one primary dimension and three secondary dimensions. Managers and analysts need to examine what drives the DSS and provides the dominant functionality of the system. Then a DSS can be further categorized in terms of targeted users, purpose of the system and primary deployment technology. The framework can improve discussions about DSS and assist in organizing our current knowledge about DSS.